Rejection is an inevitable part of job searching. For every job you land, there will be many more you don’t. Sometimes, it won’t even be clear why you didn’t get the job. You can apply for many jobs, hundreds in some cases, and never hear anything about your application. If you're lucky, you may get a rejection letter or email message. If you're not, you get no response from the employer. Or, you could interview for a job and get rejected even though it seemed like everything went really well. It could be any one of a number of reasons why you didn't get the job and it can be hard to figure out what cost you the chance to get hired. You can ask a recruiter why you weren't chosen and occasionally receive some meaningful feedback. However, in almost all cases, interviewers will either not respond to requests for feedback or will offer a rationale like: "Though you were a strong candidate, we found someone who was more qualified." Were you qualified for the job? How closely did your background match the qualifications for the job? In a competitive job market, candidates that are an exact or a very close match for the job requirements will get the interview. Was your application complete? Did you provide all the information required on the job application? Did you make a mistake on your application? Were all the dates of employment you listed on your application correct? Did you list accurate salary information? Did you leave off any information that should have been included? Some employers verify employment history prior to scheduling interviews. That's one reason why it's important to accurately complete your job applications. Did you target your resume? Does your resume showcase skills and accomplishments related to your target job? Is it clear how you added value in your previous jobs, internships, academic projects and volunteer work? Is your resume organized so that the most relevant content is near the top and can be easily found by the screener? Was your cover letter targeted toward the requirements of the specific job you applied for? Did you make it clear that you possessed the desired skills, experience and knowledge to get the job done? Was your cover letter long enough to make a compelling case, but no so dense that the recruiter glossed over it. Ideally, your letters should be three to five paragraphs long, with none of those paragraphs longer than eight lines. Be sure to leave white space between paragraphs. Were all your application documents error free and well written? Have you asked others to review and proofread your resume and cover letter? Did you mobilize your network to find any contacts on the inside of your target employer who might put in a good word for you? What did your references say? If you were asked to provide employment references, the employer might have checked with them prior to scheduling an interview. It's important to know that your references are going to give you a good recommendation. Sometimes, interviews go wrong. You could make an interview mistake that can cost you a second interview or a job offer. Even when you interviewed well there could be other candidates who did a better job or were more qualified. Here are some of the reasons why you may not get a job offer. Were you dressed appropriately? First impressions mean a lot, and if you weren't dressed in appropriate interview attire it could cost you the job before you even get into the interview room. Were you on time and polite to everyone you met? Manners matter and being late for an interview or rude to a receptionist can cost you the job. Make sure you're aware of proper job interview etiquette before you head out the door. Did you convey genuine enthusiasm for the work throughout the interview? All things being equal, employers will often hire the most motivated candidate who they think would invest the most energy into the job. Did you research the company? Did you take the time to find out as much as possible about the company and the job you were being considered for? Employers expect you to have done your homework. Were you prepared for the interview? Were you ready to answer interview questions? Did you have a list of questions ready to ask the interviewer? Did you share six to nine reasons why you should be hired and back up those assertions with specific examples of how you successfully employed those assets in previous roles? Did you establish a positive connection with your interviewer(s)? Did you display an air of confidence without being smug or over confident? Did you make it clear at the end of the interview that you wanted to move on in the screening process? Or, if it was a final interview that you really wanted the job? Did your follow up promptly with a thank-you email message or letter which clearly stated your interest in the job and included a brief summary of why you thought the position was an excellent fit? Do keep in mind that you could do everything right and still not get the job. It is quite possible that you presented yourself in the best possible fashion and were beat out by an extraordinary candidate who just offered more to the employer. If you have determined that the position was a good fit and you did your best to impress the interviewer, then all you can do is pursue as many other options as possible with the same effective approach. Rejection can actually be a good thing in the long run. If the company didn't think you were the best candidate for the job, it may have not been the best fit for you. Instead of spending too much time regretting the job you didn't get, move on to the next opportunity. Sooner or later you will be the preferred candidate. In order to learn from this difficult experience and refine your job search techniques, it's important to reflect upon all aspects of your job search and interview process. By going through each step from phone screen to interview follow-up, you may be able to identify where your job search is getting bogged down. 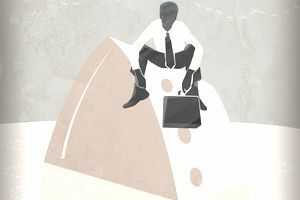 If you're having trouble figuring out why you aren't getting hired, it can be helpful to enlist the input of a career counselor, a friend, or a professional connection in your industry of interest as you are conducting this assessment. They may be able to offer some perspective.